The Safco Vue Intensive Use Mesh Task Chair is a heavy duty chair designed to provide comfortable support for people of all shapes and sizes. It is rated for 24/7 use and has a weight capacity of 500 pounds. It features a breathable mesh back that helps keep a cool and comfortable rest. It also has ample support, an ergonomic shaping, a reinforced mechanism with back tilt, and an adjustable height. The seat swivels a full 360 degrees with posture lock and its height can be adjusted from 17 ½ inches to 20 ½ inches. This chair is mobile on 2.5-inches dual wheel carpet casters that are attached to the 26-inches diameter five-star base. The chair’s base and its frame are made of steel-reinforced nylon and it is upholstered in either polyester or vinyl. 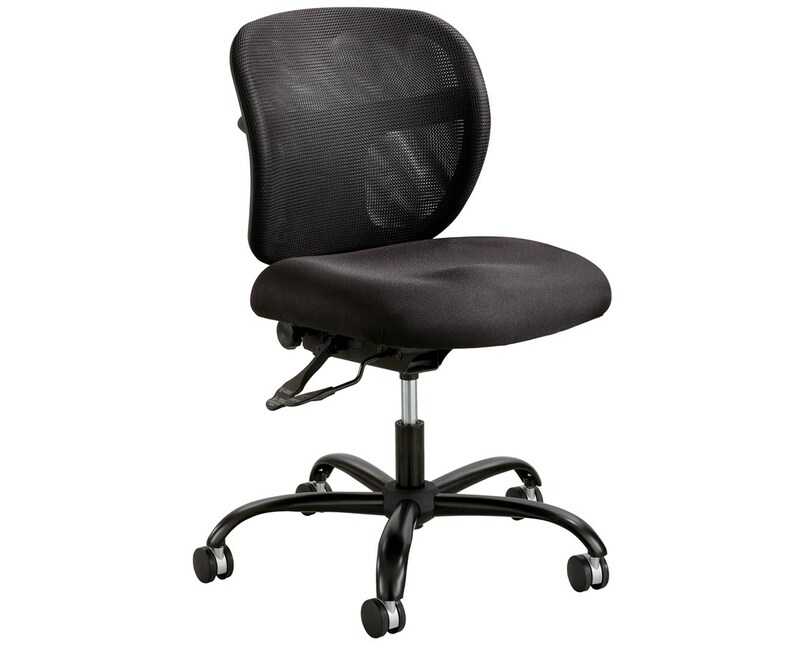 This heavy-duty chair also meets the ANSI/BIFMA safety standards and is rated FED-STD 834 for intensive use. It works perfectly with the Safco adjustable T-Pad arms. Note: The vinyl upholstered type (3397BV) is shown with optional armrest. 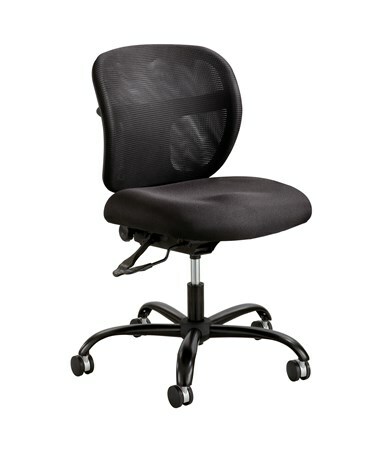 The Safco Vue Intensive Use Mesh Task Chair is available in two different upholsteries. Please select your preference from the choices above.